One of the most popular and iconic footwear silhouettes of all time, the Converse All Star, also known as the Chuck Taylor All Star, has a long and rich history spanning almost 100 years. Adopted by numerous subcultures and the subject of countless trends, the All Star has been a statement piece for many, a versatile style that remains hugely popular to this day. The story of Converse began in 1908 when Marquis Mills started to make shoes that heavily featured rubber in their construction, and from that, the ‘Converse Rubber Shoe Company’ was formed. The Converse All-Star began life as an elite basketball shoe back in 1917 in its original canvas and rubber make up, which still remains today, available in a natural brown with black trimming as its first colour way. Back at a time when sneakers weren’t worn for leisure and their main purpose was functionality, the All Star was designed to fill a gap in the market caused by the ever increasing popularity of basketball. It’s considered construction and fitting shape was like nothing else available. It was the first mass produced basketball shoe in North America and would go on to be one of the most iconic shoes in the sports history. At the beginning, sales were steady but nothing groundbreaking. Enter Charles H.Taylor or Chuck Taylor as he was known by the masses. 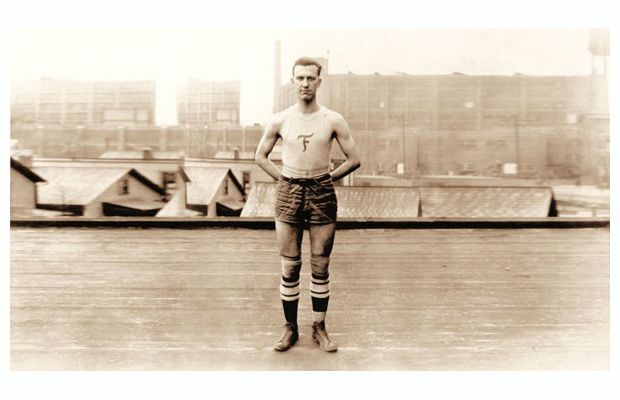 A basketball player for the the Akron Firestones, Taylor joined the Converse sales team in 1921 after coming across the shoe and seeing huge potential in its design. Renowned for his clever sales pitch and unique marketing ideas, such as the basketball clinics he held across high schools in America, teaching basketball to kids and promoting the shoe along the way, as well as the Converse Basketball Yearbooks that aimed to celebrate the culture of basketball. The brand and the shoe would grow to become synonymous with the sport, favourited by players nationwide. In light of his services to the company, Converse made one of the most significant changes to the classic design when in 1932 they added his name, “Chuck Taylor”, to the famous ankle patch detail, and from that, the ‘Chuck Taylor All Star’ was born. By the 30’s the Chuck Taylor All Star was being worn by basketball players across America and in 1936, a huge breakthrough for the company came when Chuck Taylor designed the white hi-top model, with the patriotic red and blue accents, for the USA’s Olympic basketball team. Once the war had started for America, the All Star became a symbol of patriotism, with Chuck Taylor himself acting as a morale booster for US troops by doing what he did best, coaching basketball teams. The white hi-tops were worn by the soldiers during exercise and training, and would become the official sneaker of the United States Armed Forces. 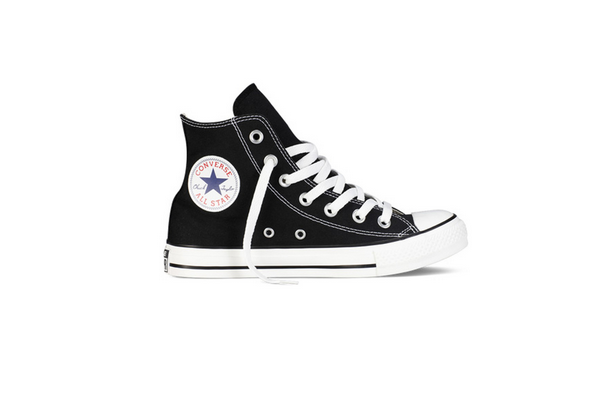 The years after the war saw Converse introduce the black and white colour way of the Chuck Taylor All Star, a style that would become a favourite for many. In 1946, the two rival basketball associations, the Basketball Association of America (BAA) and the National Basketball League (NBL), merged to form what is now known as the National Basketball Association or the NBA for short. The Converse Chuck Taylor All Star in its white and black variations became the got to shoe for the professional’s, the college and high school players. If you wanted to take basketball seriously, you had to own a pair of Chucks. Riding this wave of popularity, Converse decided to capitalise by introducing the ‘Oxford‘ in 1957, which was a low profile version of the All Star. The Oxford was available in a variety of colour options and became hugely popular with those looking for a more casual alternative to the basketball focused hi-top version. Converse continued to dominated the athletic footwear industry for some time. Through to the 60’s and Converse were sitting happily with 90% of the sneaker industry and no other company or product having quite the impact on the american market as the Chuck Taylor All Star. 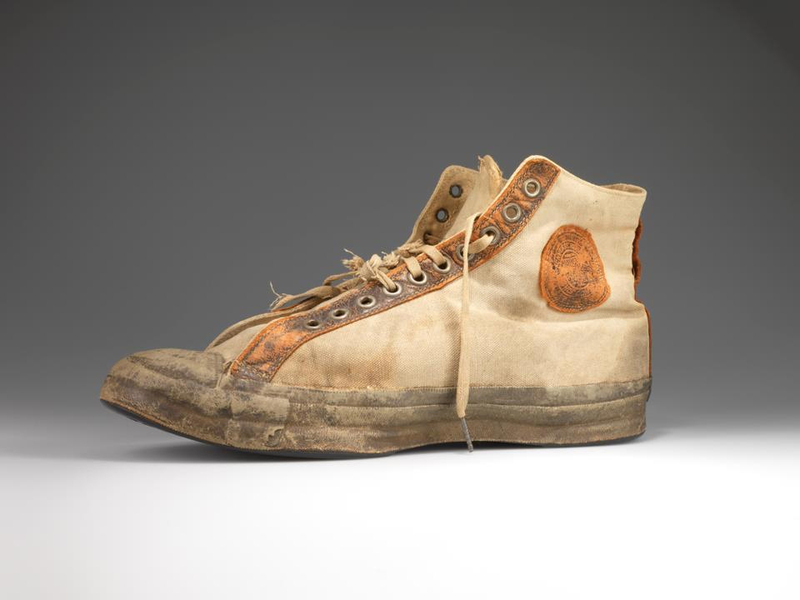 In 1968, Chuck Taylor’s dedication and commitment towards promoting basketball across the states was rewarded as he was inducted into the basketball ‘Hall of Fame’ and named the “Ambassador to Basketball”. One year after receiving this title however, Chuck Taylor sadly passed away, and this saw Converse’s dominance at the top begin to slip. As companies such as Nike started to emerge with new technologies and innovations in footwear, the basketball market in particular saw athletes looking to these ‘futuristic’, performance enhancing designs and favouring them over the classic, flat soled Chucks. Their demise in the sporting world did however bring opportunity in other markets, as the simplistic style of the All Star was adopted by big names in the music industry, especially in the punk rock movement. The shoe became a symbol for rebellion and also acted as an alternative for those who were looking for a comfortable, laid back style but were not willing to pay the higher prices for the tech packed performance styles from the likes of Nike. 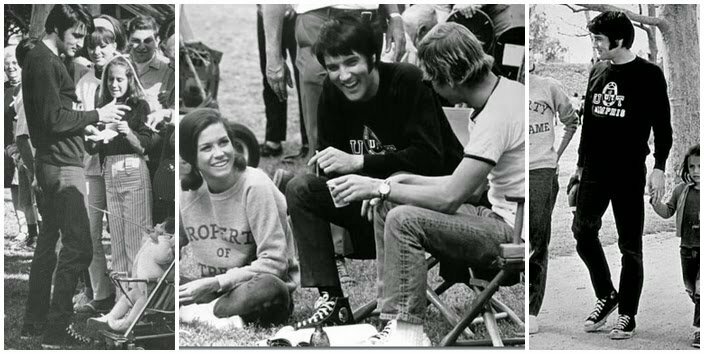 Rather than develop their range and look to battle it out with this new wave of sportswear brand in the performance shoe market, the Chuck Taylor All Stars had become more of a lifestyle style, purchased for fashion rather than functionality. Converse recognised this, and it lead to the introduction of several new colour ways, prints and patterns for all ages and styles. The All Star’s accessible price point and versatility saw the shoe begin to move into different subcultures and music genres in the 80’s and 90’s. With a huge influence in hip hop to some of the biggest rockstars on the planet lacing up their Chucks, the shoe was now having a similar impact on music as it did basketball when it was first introduced, and this would be a huge part of the brands identity moving forward. It represented various different styles and was accepted by so many different subcultures, all the while maintaining its instantly recognisable look and minimal construction. Despite this movement into new markets and its popularity underground, Converse were unable to profit, and with ownership and management changing hand several times, along with some poor business decisions, Converse were eventually led to filing for bankruptcy in 2003 with many worrying about the future of this historic brand. One thing you cant buy is history and sometimes for a brand this can be priceless. Fortunately for Converse, they have one of the most storied history’s out of any brand in the footwear industry. The same year they filed for bankruptcy, Converse was sold to sportswear giants Nike and from this, we would see a revival of the brand over the following decade. With new ‘alternative’ trends becoming ever popular, the rise of pop culture and the wave of skateboarders adopting the Chuck, Nike and their clever marketing team would use all these things to their advantage, playing on the company’s rich heritage and role in music with several creative campaigns. Converse were back on track and recent years have seen sales in the Chuck Taylor All Star reach all time highs when Nike announced that in 2012 they had made $450 million on Chuck Taylor’s alone—which equates to selling a pair about every 43 seconds. The influence of the Chuck Taylor All Star is unlike any other shoe. With a rich heritage and an instantly recognisable, iconic silhouette, the shoe can be worn by anyone and everyone, whatever your style. As it continues to be rediscovered through various trends, nowadays its become a staple for many and more surprising if you don’t own a pair of chucks rather than if you do. A true style icon that is sure to remain that way for years to come. You can shop our full Converse range HERE.